RadioYo is laying the groundwork for a new age of ownership, tracking, content sharing, and creation that is engaging, sustainable, borderless, and fair to all stakeholders." RadioYo, a platform for people to livestream free online radio shows and broadcast prerecorded podcast episodes, announced today registration for RadioYo's initial coin offering (ICO) has begun. 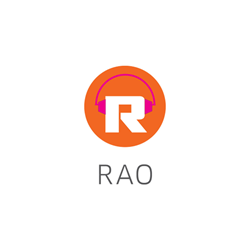 People interested in participating in the crowdsale of RadioYo's token, the RAO, can register at https://rao.radioyo.fm/home/register. The ICO start date as well as other details will be announced in the coming weeks. RadioYo’s ICO goal is $10,000,000. Once the $10,000,000 is reached, the crowdsale ends. During the crowdsale, tokens are available in specified packages by dollar amount. Packages range from 500 and 250,000 tokens respectively, and crowdsale tokens have been capped at 33 million. Proceeds will go toward adding podcaster ownership information directly onto the blockchain while building out it’s current platform into a blockchain-based broadcasting and services platform for podcasters, online broadcasters, independent media, and online publishers worldwide. Currently, there are more than 1100 people registered on RadioYo and more than 400 shows have been created. Podcasting continues to be a growth medium, according to The 2017 Infinite Dial Study by Edison Research and Triton Digital, as 40% of Americans 12+ say they have ever listened to a podcast, while 24% say they have listened to one in the past month, up from 21% one year ago. In addition, six in ten Americans are now familiar with the term “podcasting,” a number that has risen 22% in two years. Steven Blinn, RadioYo's Founder, noted, "Podcasters, online broadcasters, independent media, and online publishers face a range of pressures every day. Funding, competition for listeners, press freedom, copyright infringement, and producing the most remarkable programming possible weigh on people's minds every day. RadioYo is laying the groundwork for a new age of ownership, tracking, content sharing, and creation that is engaging, sustainable, borderless, and fair to all stakeholders." RadioYo plans to grow the RAO by weaving it into the fabric of the company's platform. The RAO can be used to incentivize high quality content creation. Allow listeners to reward hosts, hosts to reward service providers and brands to reward listeners. "With the RAO, RadioYo is building out a new model that transforms the relationship consumers, content creators, developers, and service providers have with each other,” added Blinn. "Instead of trying to profit by stealing a little bit of attention/ engagement through playing ads, or selling "hosting solutions," RadioYo sees the RAO as a way to reward ‘wanted' behavior and desired' features." Citizens and residents of the United States are prohibited from participating. The Crowdsale of the RAO token is not the sale of a security. RadioYo will use the proceeds of the Crowdsale to advance the purposes outlined in its white paper. Virtual currency is not legal tender, is not backed by the government, and accounts and value balances are not subject to consumer protections. The information in this release does not constitute investment advice or an offer to sell or invest in securities. People who participate in RadioYo’s ICO should not have a reasonable expectation of any future profits or the RAO increasing in value based on RadioYo, Inc. creating an ecosystem and building out the company's platform.